Usher in the Lunar New Year with Standard Chartered Credit Cards. 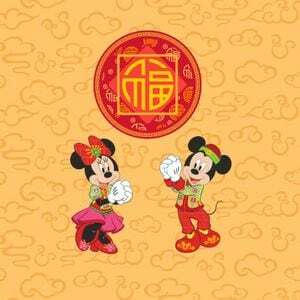 The Disney Gift 2019 Promotion1 and Spin to Prosperity 2019 Promotion2 have ended. Limited to the 1st 1,500 redemptions at: TANGS at Tang Plaza, Customer Service Counter (Level 4) from 11am to 8.30pm. 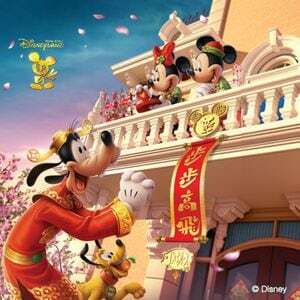 Win cashback of up to S$68 or a 3D2N Hong Kong Disneyland package for 2. 1The Disney Gift 2019 Promotion (“Promotion”) is available from 28 January to 28 February 2019 (both dates inclusive) (the “Promotion Period”). The Promotion is open to all eligible principal cardholders of Standard Chartered Credit Cards (“Cards”) issued by Standard Chartered Bank (Singapore) Limited (“Bank”) (collectively, “Eligible Cardholders“). To qualify for the Promotion, Eligible Cardholders must, during the Promotion Period, charge in Singapore dollars, a minimum total of S$188 of same-day retail transaction(s) (each an “Eligible Transaction” and collectively “Eligible Transactions”) to their Cards. 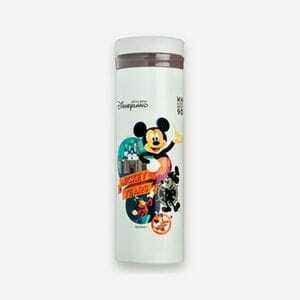 If the Eligible Cardholder satisfies the conditions above, he/she will be eligible to redeem one Standard Chartered (“SC”)-Disney Stainless Steel Bottle (“Gift”). Redemption of the Gifts must be made on the same day of purchase and is available on a first come, first served basis, while stocks last. An Eligible Cardholder is limited to one (1) gift per day; limited to the first 3,000 redemptions during the Promotion Period. The Gifts are non-transferable, non-assignable and non-exchangeable for cash or credit or otherwise. Original hardcopy charge slips presented for redemption of the Gifts must be on Eligible Transactions made and dated on the same day. Any number of original hardcopy charge slips can be combined to make the redemption. Eligible Cardholders are required to present their Credit Card(s) used for satisfying the Eligible Transactions as set out above and original hardcopy charge slips at: TANGS at Tangs Plaza, Customer Service Counter, Level 4, 310 Orchard Road, Singapore 238864, 11:00am to 8.30pm (Monday – Sunday, excluding Public Holidays) to redeem the Gifts. Transactions such as, but not limited to, insurance premiums, all modes of transactions and bills payments (including transactions and payments to telecommunications and utilities providers), payment via AXS and SAM networks, payment to government agencies (including LTA, HDB, IRAS, PUB, ICA & MOM), income tax payments, EZ-Link/TransitLink top-up/reload, any top-ups or payment of funds to any prepaid cards (with exception of EZ-Reload), prepaid accounts, digital wallets or any other accounts as the bank may specify from time to time, any transactions pertaining to Merchant Category Codes 6211 (Security Brokers/Dealers) and 7995 (Gambling/Lotto), funds transfers, cash advances, NETS purchases, ongoing instalment payments, any fee and charges, cancelled and reversed transactions and outstanding balances will not be considered as a Eligible Transactions for purposes of this Promotion. 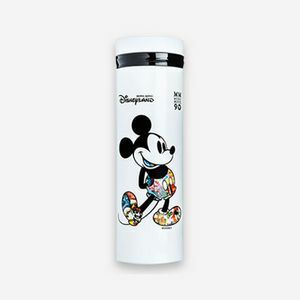 Click here for full Disney Gift 2019 Promotion Terms and Conditions apply. 2 The Spin to Prosperity 2019 Promotion (“Promotion”) is available from 22 January to 7 March 2019 (both dates inclusive) (the “Promotion Period”). The Promotion is open to all eligible principal cardholders of Standard Chartered Credit Cards (“Cards”) issued by Standard Chartered Bank (Singapore) Limited (“Bank”) (collectively, “Eligible Cardholders“). To participate in the Promotion, Eligible Cardholders must successfully register during the Registration Period, from 19 January to 26 February 2019 (both dates inclusive) (“Registration Period”). 2 calendar days from the time of registration is required for successful registration for the Promotion. To register for the Promotion, Eligible Cardholders must send an SMS composed in the following format: “CNY19” (Example: CNY19) to 77222 or +65 8318 4584 (if the Eligible Cardholder is sending the SMS when he/she is not in Singapore) from his/her mobile number that was registered with the Bank (“Bank Registered Mobile Number”). An acknowledgement of successful Registration will be sent to Cardholder’s Bank Registered Mobile Number. Upon successful Registration, all of the Eligible Cardholder’s validly existing Cards will be registered for the Promotion (such successfully registered card(s) referred to as a “Registered Card”). and the cardholder of such Registered Card, a “Registered Cardholder”). All SMSes which are not in this prescribed format, sent to an incorrect number, or sent from a non-Bank Registered Mobile Number will not be accepted and will be considered by the Bank to be invalid and/or void, and the Bank’s determination shall be final and conclusive. Eligible Cardholders need only register once to participate in the Promotion except that Registered Cardholders who have changed or updated their Bank Registered Mobile Number will have to re-register for the Promotion under the new number. Failure to re-register will mean that cardholder will not be eligible for the Promotion. To qualify, Eligible Cardholders must charge S$188 or more on a single eligible transaction with a transaction date falling within the Promotion Period and successfully posted to the Registered Card account during the Promotion Period (“Spin to Prosperity Qualifying Transaction”). The first 100,000 Spin to Prosperity Qualifying Transactions (each a “Winning Transaction”) will receive an SMS containing a unique URL (“Spin to Prosperity SMS”) for the chance to win up to $68 cashback or a 3D2N Hong Kong Disneyland package for 2 (“Prizes”). Eligible Cardholders are eligible for one unique URL sent via one SMS with every Winning Transaction made, capped at a maximum of 5 Winning Transactions per day. Eligible Cardholders who have qualified to receive the Prizes will be notified either by mail or SMS by no later than 30 April 2019. All cashback Prizes will be credited to the relevant Winning Cardholders’ Registered Card Account by 30 April 2019. SMSes will be sent to the relevant Winning Cardholder’s Bank Registered Mobile Number to inform them that the cashback Prize amount has been credited to their Registered Card Account. Transactions such as, but not limited to, insurance premiums, all modes of transactions and bills payments (including transactions and payments to telecommunications and utilities providers), payment via AXS and SAM networks, payment to government agencies (including LTA, HDB, IRAS, PUB, ICA & MOM), income tax payments, EZ-Link/TransitLink top-up/reload, any top-ups or payment of funds to any prepaid cards (with exception of EZ-Reload), prepaid accounts, digital wallets or any other accounts as the bank may specify from time to time, any transactions pertaining to Merchant Category Codes 6211 (Security Brokers/Dealers) and 7995 (Gambling/Lotto), funds transfers, cash advances, NETS purchases, ongoing instalment payments, any fee and charges, cancelled and reversed transactions and outstanding balances will not be considered as a Eligible Transactions for purposes of this Promotion. Click here for Spin to Prosperity 2019 Promotion Terms and Conditions apply. Balance owing on the credit cards of the Eligible Cardholder account from other months.